Suggested by Destroyer Mary Moo Cow May be a pretty neat Arthur character but I don’t see her getting very far in a fight. 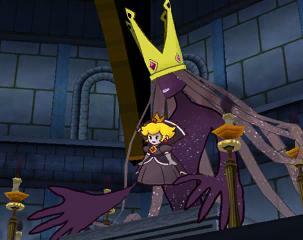 The Shadow Queen has the massive advantage in strength and durability. Mary will have a hard time even trying to land a bit here. This fight will simply be too lopsided for Mary. When up against the power of shadows you need more than close quarters combat. Shadow Queen wins. This entry was posted in Battles, Mary Moo Cow Battles, Shadow Queen Battles and tagged Mary Moo Cow, Shadow Queen by dreager1. Bookmark the permalink.